Early childhood education promotes the right of all children to education of the highest quality. Children in Pre-Primary are actively exploring and trying to make sense of their world. Adult help children make the connections between new situations and familiar experiences. A variety of activities allow children to follow their own interest, and group activities encourage cooperation and listening to others. 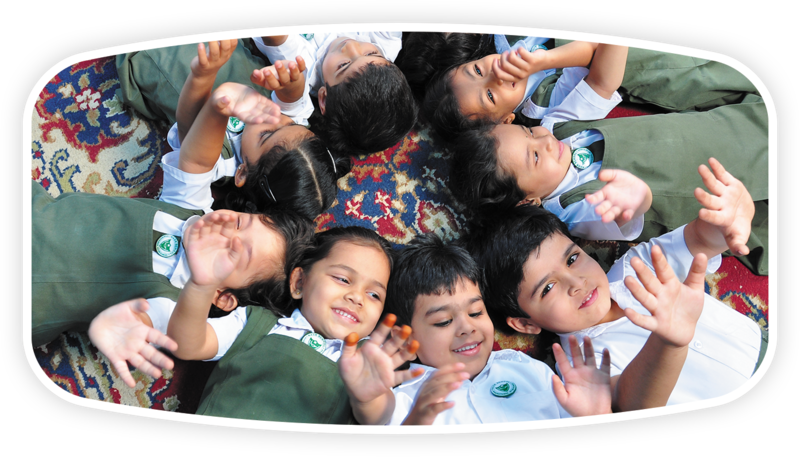 The Pre-Primary program provides a range of learning experiences that foster development in all domains. Activities and experience help children develop language, pre-reading and pre-writing skills, and basic number concepts. Mrs Raees Hasan,has been with the Nasr family since 1965,and had dedicated herself whole heartedly towards the growth of this magnificent institution as it is in its 49th year since inception. A lady with excellent ideas and marvellous administrative techniques and always eager to put in innovative thoughts add to the glory of this prestigious institutions.